Measurement Solutions has been successfully specifying and supplying level transmitters and associated instrumentation since 1985. We have several exclusive manufacture agencies offering class leading level products ensuring the highest level of quality and ongoing customer support. These level manufacturers include Ametek Drexelbrook, Aplisens and Barksdale Control (Crane Co). Manufactured exclusively in USA and Europe. Used for the continuous measurement of liquids, powders, solids, slurry and interface. A technology pioneered by Ametek Drexelbrook as a truly universal level measurement technology. RF Admittance level transmitters are also revered for their unique ability to actively track and reject the effects of coatings and build up on the measurement. This is in contrast to other technologies that claim simply try to cope or mask with the effects rather than dealing with it in a fundamental way. The RF Admittance Level Transmitter is often mistaken for a Capacitance Level Transmitter. That would be like comparing a computer to a calculator. Both can handle the basic stuff however only the computer is capable of dealing with complex problems. Only an RF Admittance level transmitter can handle the complex process of coating error. Limitations: Not suitable for insulating products subject to varying moisture content. Level transmitters that use the basic principles of capacitance to reliable track level and interface in just about any process medium. Capacitance level transmitters are a contact based technology capable of handing process extreme conditions. Advantages: No dead zones or span restrictions, robust, flexible and easy to modify. Immune to dust, foam and condensate. Capable of interface detection. Limitations: Not suitable for applications with conductive coatings. A lime of flight level measurement using the speed of sound. Ultrasonic level transmitters are a capable and low cost solutions to many process level measurements. They can be used effectively on liquids, and even solids where the conditions are suitable. 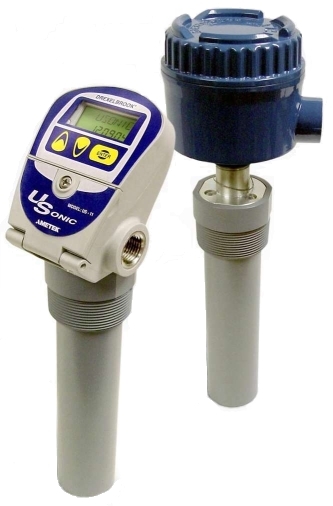 Advantages: Low cost and simple to use level transmitter. Limitations: Pressure and vacuum limits. Not recommended for dust, condensate and numerous vapor applications. Converting the pressure generated by a head of fluid is an age old and reliable way for a level transmitter to continuously monitor level. Fluids exhibit a proportional increase in pressure relative to the level of fluid present. The pressure generated is proportional to the density of the fluid and the height of the fluid above the level transmitter. Advantages: Flexible and simple to use. A relatively low cost option for common level applications. Limitations: Dependant on stable product density, requires the vessel/container is fully ventilated to atmosphere. 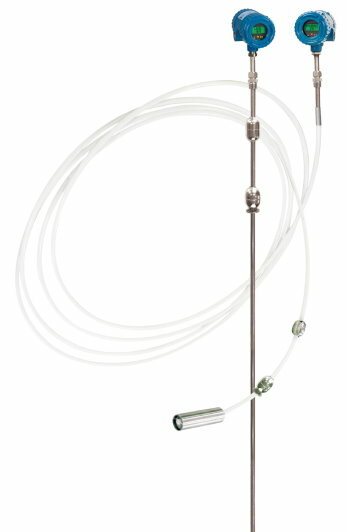 Carrying on from the principles of Hydrostatic Level Transmitters, Differential Pressure Level Transmitters employ a reference line to counter the effects of pressure variations in the process from effecting the level measurement.. One example could be a closed vessel where atmospheric equalization is inadequate. Any change in the vessel pressure could be read as a change in level unless the level transmitter is told otherwise. Thats where the second pressure port of a Differential Pressure Level Transmitter comes in handy. The reference line is attached at the top of the tank to zero off the pressure in the vessel and only read the pressure generated by the level of fluid. Advantages: Flexible and simple to use, relatively low cost alternative for certain applications. Limitations: Dependant on stable product density and effects of aeration. Requires to tapping points. A hydrostatic based level technology that keeps it as simple as possible. 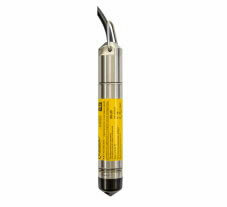 Submersible Level Transmitters are variation of the hydrostatic Level Transmitter that requires the whole device be lowered to the bottom of the range. Ideal for bores, wells, dams, tanks etc. The instrument is referenced to atmosphere via the insulted electrical cable. This ensures the measurement is reliable regardless of changes in atmospheric conditions. Advantages: Solid low cost and dependable option for liquids. Large flush diaphragm versions can also be an effective solution for slurries and waster water applications. Limitations: Dependant on product density and effects of aeration. From the outside it looks like a simple float on a stick. However the Magnetostrictive Level Transmitter technology is one of the most accurate and reliable measurement technologies for clean liquids out there. Magnetostrictive Level Transmitters work by sending a pulse down internal wires, located in the stem. The float, via the use of magnets, creates an electrical stop for the pulse to reflect back to the transmitter. The time the pulse takes to travel is directly proportional to the level. The main advantage of this over other time of flight technologies like (radar, TDR and ultrasonic) is the reflection is always targeting the same object and there is no reliance on the permeability of reflectivity of the process medium. 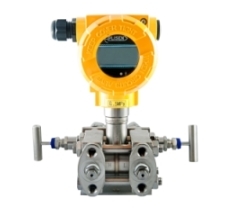 Advantages: Highly accurate level transmitter with additional options for multi-point temperature and interface in the same device. Superior performance for dual level and interface applications. Limitations: Coatings can prevent the float from moving, changes in density effect float position. Using microwaves to measure distance. 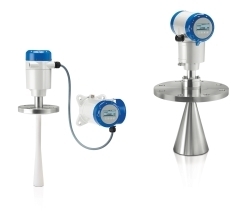 The Radar Level Transmitter tracks level by emitting microwave energy and converting the returned signal to level. Some units do this by measuring the time it takes to send and receive a microwave pulse. Others send a continuous microwave signal and monitor the change of frequency proportion to distance. Advantages: More capable than ultrasonic and most other non-contact devices. Long range. Limitations: Effected by dust, condensate, and geometry of the target and environment. . Dead and near zones. Similar principles to the open air radar level transmitter however the microwave energy is concentrated down a metal rod or cable to reach the target. It has the advantage over a tradition radar level transmitters by being less sensitive to dust, installation restrictions and can generally be used on lower dielectric products. Advantages: Better performance on low dielectric products. Capable of Interface. Less susceptible to the traditional handicaps of open air radar. Limitations: Product coatings, restrictions around the mounting area. Dead and near zones.